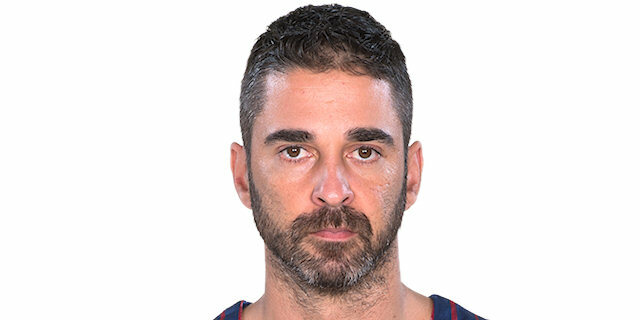 An unstoppable Juan Carlos Navarro put FC Barcelona on his back to down visiting CSKA Moscow 79-70 in a heavyweight battle on Friday. Barcelona lifted its record to 2-2 in Group A, while CSKA fell to the same, both tied behind undefeated Fenerbahce Ulker Istanbul. Navarro scored 17 of his 20 points after halftime to lead the winners. He made 3 of 4 two-pointers, 3 of 5 threes and 5 of 5 free throws while dishing 3 assists. 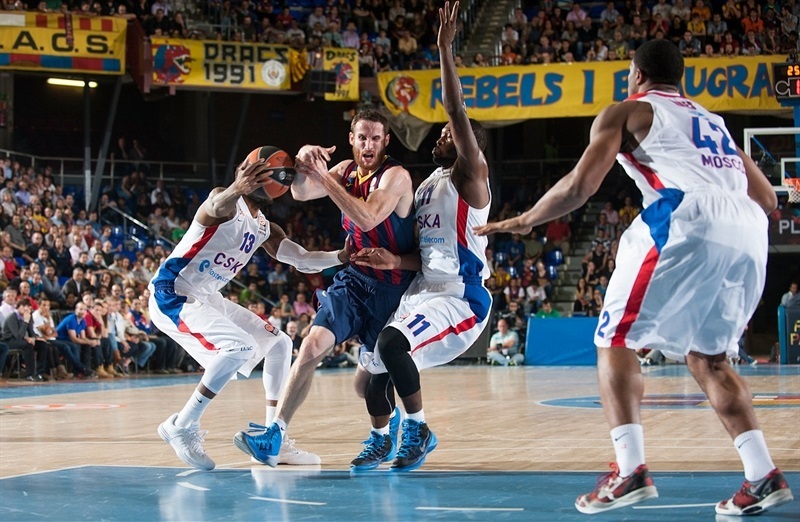 Marcelinho Huertas ffollowed with 16 points while Ante Tomic scored 13 for Barcelona. 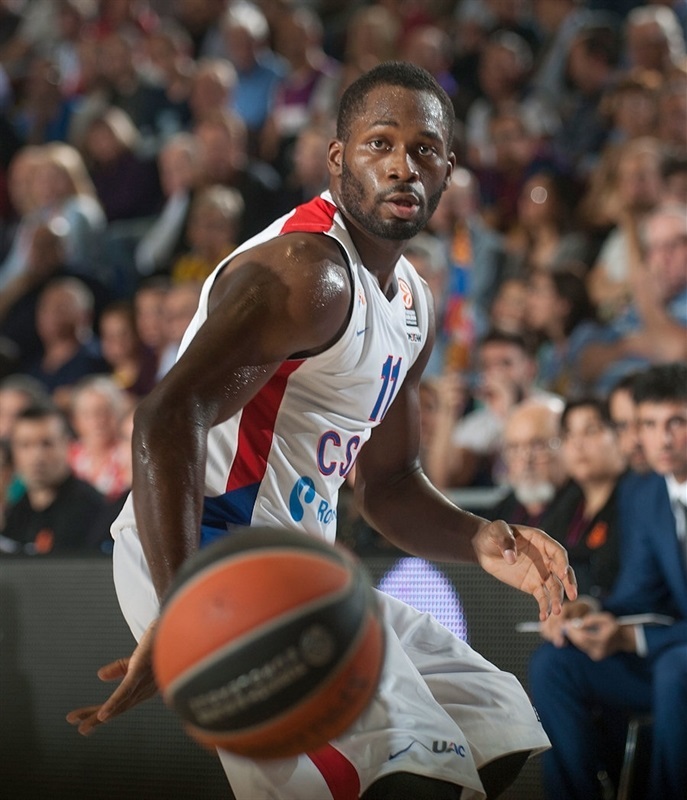 CSKA had led by 5 until Navarro sparked a 7-0 run to start the second half and another of 10-0 later in the third quarter, after which Barcelona never lost control. Vladimir Micov led CSKA with 14 points, while Jeremy Pargo had 11, Milos Teodosic, Sasha Kaun and Kyle Hines 10 each. CSKA played without center Nenad Krstic. Defense in the form of steals and contested shots marked the game's start until Micov drained a three-pointer to open the scoring. 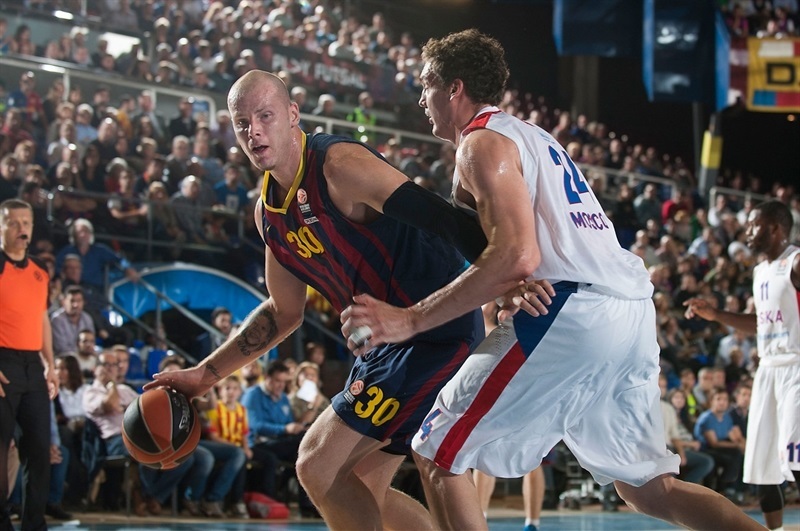 Maciej Lampe did the honors for Barcelona at the foul line and soon Huertas hit a basket for their team's first lead. Kaun took it back with a layup and Kostas Papanikolaou dropped a jumper as the lead went back and forth between another bucket by Micov and a three-pointer by Alex Abrines. Pargo and Micov scored consecutively to retake the lead and then 2 assists by Teodosic sent Kaun for dunks and a 9-16 CSKA advantage. 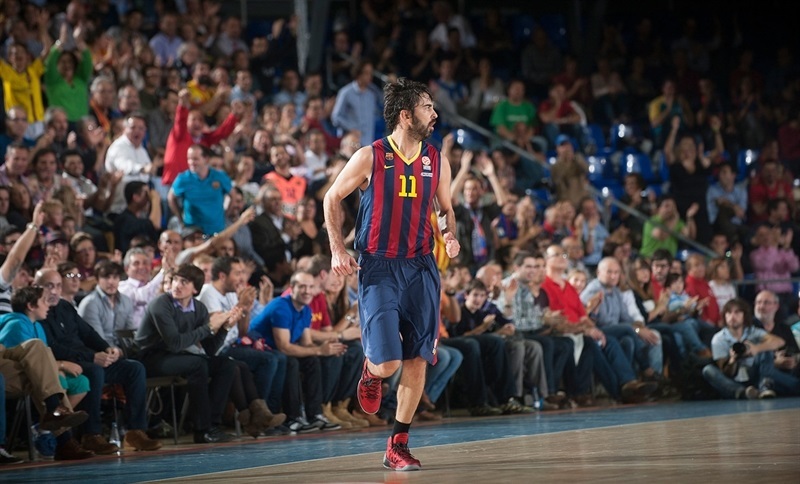 Navarro climbed off the bench to nail a three-pointer for Barcelona. After 2 scoreless minutes, another by Huertas made it 14-16. Pargo and Tomic traded layups and free throws the rest of the way as CSKA clung to an 18-20 edge after 10 minutes. 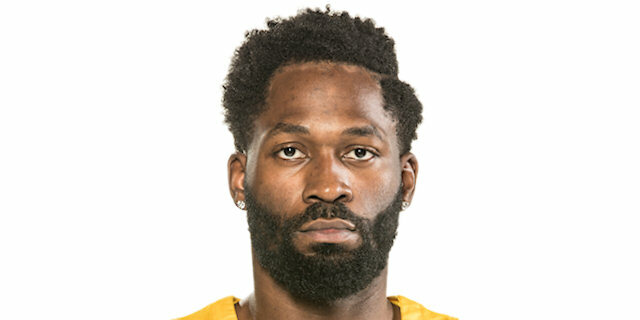 Barcelona went inside to Tomic and Bostjan Nachbar early in the second quarter to take a lead despite Hines joining the CSKA scorers. When Sonny Weems did, too, it was from downtown and CSKA landed back in front 24-25. Nachbar answered with the same shot and Teodosic a shorter one, his first points, for a 27-27 tie. Teodosic liked the feeling and drilled a three-pointer for a new CSKA lead that Victor Khryapa increased with a baseline turnaround jumper at 27-32 after a 0-7 run by the guests. After a Barcelona timeout, Papanikolaou fed Joey Dorsey for a layup, but Kaun went to the line to preserve a 29-34 CSKA advantage. Abrines answered with a deep two-pointer for the hosts, but turnovers led to a fastbreak layup by CSKA's Aaron Jackson. Huertas kept it close with a short jumper that Micov responded to with his own from the baseline. In the final minute, Barcelona found Tomic for another bucket that Hines equalled with free throws off an offensive rebound that left CSKA in front, 35-40 at the break. Third quarter: Here comes La Bomba! Navarro started Barcelona's second half with a lane jumper, and a minute later, Nachbar copied him to make it 39-40. 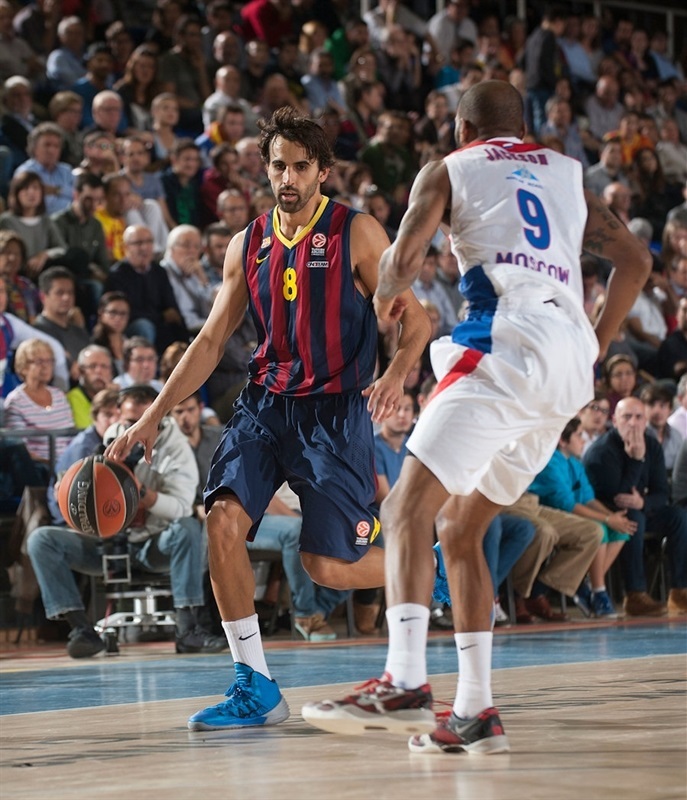 Navarro was perfect at the line after being fouled on a three-pointer, putting Barcelona. Tomic soon upped the lead with a free throw, and after a timeout, Papanikolaou beat the shot clock with a triple on a wild play to make it 46-40 after an 8-0 Barcelona run. Pargo got CSKA's first basket of the half after more than 4 minutes, but Huertas answered it from downtown, as did Navarro in transition following a steal as the lead reached 51-42. Out of a timeout, Teodosic found Hines for a basket inside before Andrey Vorontsevich, injured until now, made his first shot of the season a three-pointer at 52-47. Navarro's free throws precipitated another Barcelona burst, with him and Huertas hitting back-to-back triples. Lampe added a turnaround in the lane and this time Barcelona's run was 10-0 before Vitaly Fridzon got to the free throw line to make 1 of 2 for CSKA. Hines followed with 2 of 2, as did Aaron Jackson on an unsportsmanlike foul with 12 seconds left, after which a putback by Hines left a 62-54 scoreboard after 30 minutes. Micov opened the final quarter getting the visitors closer and, after CSKA forced a 24-second violation on the hosts, he hit a runner to make it a new ballgame, 62-58. 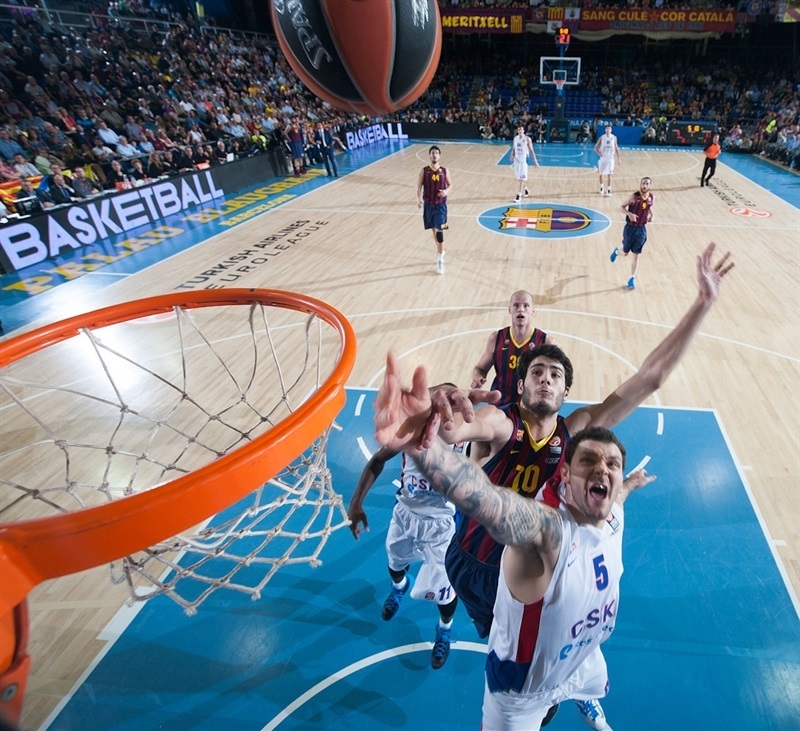 Navarro put in a much-needed, one-handed floater and then fed Tomic inside as Barcelona steadied itself at 66-58. Jackson answered with his own runner, but Lampe matched him with a tough jump-hook and Huertas a basket of his own. 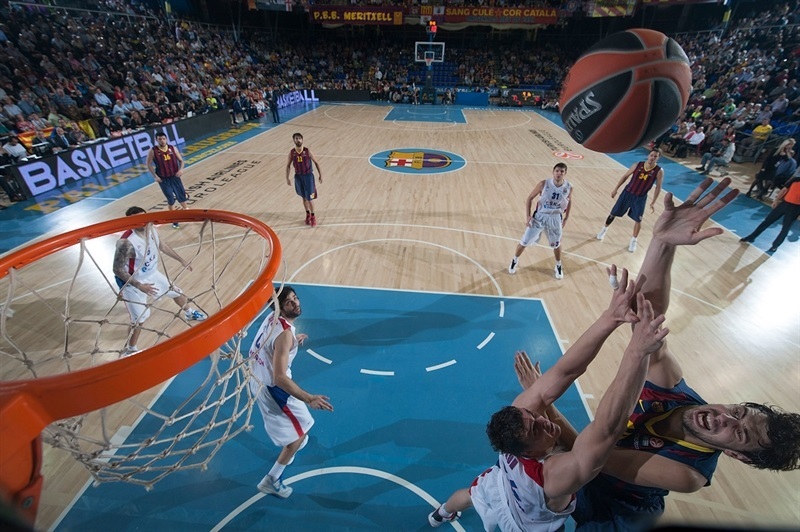 When Navarro hit the next jumper, the Barcelona lead was back to 12 points, 72-60. Teodosic's steal and layup cut the difference, but when Lampe put back a rebound with 2 minutes left, Barcelona was well on its way to victory. "First of all, I want to thank our fans for their support in this important game in a very important moment for us. We were nervous early and they took advantage of it, getting fast break points. We improved our defense in the second half, controlled the boards, picked up less turnovers and managed to overcome our first-half deficit. We managed to get over a difficult moment in the third quarter and controlled the game in the fourth quarter. We are getting together as a team, some players are finding their way. 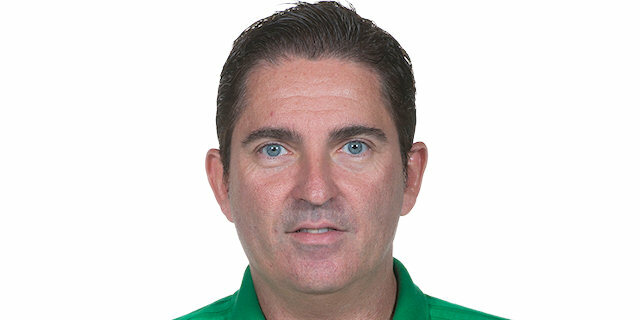 Navarro is our leader, just as Teodosic in CSKA or Bogdanovic and Kleiza in Fenerbahce Ulker." "Congratulations to FC Barcelona for its win. They improved their intensity in the second half and we didn't answer well to that. If you want to win here, it is not enough to play for 20 minutes. We need to play well all 40 minutes, even though we improved a bit compared to our mediocre game against Fenerbahce Ulker last week. We have to work harder. We were without Nenad Krstic and Andrey Vorontsevich was not 100%. We have physical problems, which could be seen in our game." "We got an important win that will be really valuable in the fight to get a good position in this group. The key of the game was our change of attitude in the second half. We improved a lot on defense and that was critical. This win gives us a lot of confidence. Personally, I feel good, I worked well all week and it was shown in my game." "We won a very important game, especially due to our change of attitude in the second half. When Navarro plays well, we all improve even if two or three players stepped up tonight, too." "Our good first half was not enough to win the game. That is when we really played well. We made many turnovers at the beginning of the third quarter. They improved their defense and got a deserved win."